While Mozilla’s open source email client Thunderbird is often overshadowed by the company’s more popular web browser, Firefox, it doesn’t mean it’s being neglected, and it looks like Mozilla has big plans in store for Thunderbird in 2019. In a recent blog post, Mozilla has revealed what Thunderbird users can look forward to this year. It starts by restating its commitment to the software by hiring new staff for the Thunderbird team, with potentially 14 new full-time roles. These new hires will concentrate on updating and improving Thunderbird’s code, with Mozilla aiming to make big gains when it comes to Thunderbird’s general speed, as well as fixing performance issues of the software. Another key area Mozilla wants to improve in 2019 is Gmail support in Thunderbird. Gmail is one of the largest email services in the world, so it makes sense for Mozilla to make sure that its email client is fully compatible. This will include adding Gmail label support, as well as other Gmail-specific features into Thunderbird. Mozilla also plans to update the user interface (UI) of Thunderbird based on user feedback, so we will see a nicer looking, and easier to use, Thunderbird in 2019. One of the UI improvements will be in relation to encryption and security, with Thunderbird making it easier to encrypt and send emails to ensure your private communication remains private. 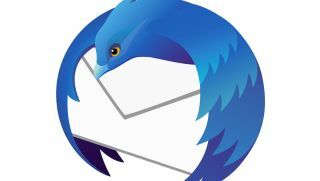 Mozilla goes into more depth about these new features (and others) in its post to the Thunderbird mailing list, and we’re pleased to see that Mozilla is continuing to update and evolve Thunderbird in 2019, despite it being rather more niche than Firefox.